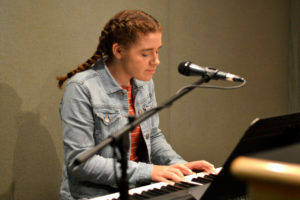 From 09/29/2018: Gabriella Salvucci (8th grade, West Allegheny) performs selections on piano. Terrific Job Gabriella. I truly enjoyed listening. Beautiful! I love you so much and am so proud to say that we’re cousins!